The management of patients with rheumatoid arthritis (RA) has rapidly evolved with the development of newer disease-modifying drugs and the recognition that long-term damage can be mitigated by an earlier and more-informed use of these medications. Historically, radiographs were the mainstay of imaging in RA patients, but radiographic joint narrowing and erosions are late and insensitive findings in the disease. MRI (with intravenous contrast agent) and ultrasound (with power Doppler interrogation) of the hands and wrists are able to demonstrate erosions earlier and with greater sensitivity than radiographs. More importantly, these imaging studies also depict synovitis and active soft-tissue inflammation, which represents a precursor to structural damage. Additionally, MRI can show inflammation within the bones (osteitis), which is proving to be the most important prognosticator of an aggressive disease course. 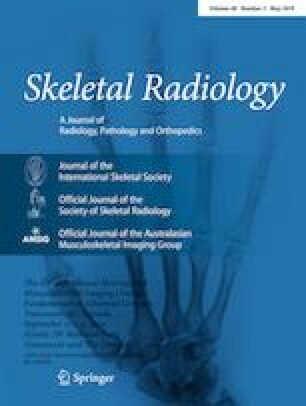 Part I of this review discusses the imaging techniques, pitfalls, definitions, and comparative studies of MRI and ultrasound for identifying and quantifying erosions, synovitis, and osteitis. Part II will demonstrate how these imaging findings influence the clinical management of RA patients throughout their disease course, from presentation through clinical remission.